You enter into this sweet, one-story Craftsman rambler through an oversized front door and you are greeted by an open concept living space. Cozy up next to the fireplace in the living room or have a seat at the breakfast bar to enjoy a meal. 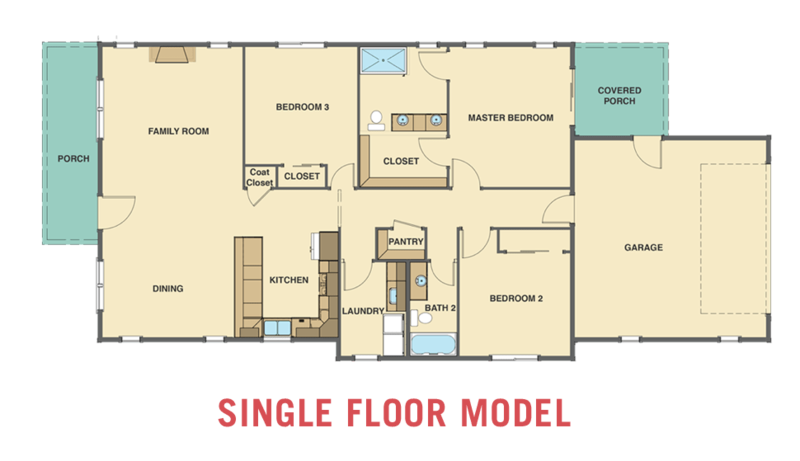 Pass the kitchen and you will find 2 more bedrooms as well as a full bathroom and a master suite with a walk-in closet and access to a covered patio. This home comes with an attached 2-car rear loading garage and a large laundry room.